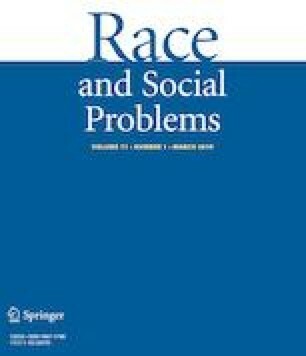 The research on quantitative intersectional environmental inequality outcomes examines how the spatial concentration of individuals occupying multiply marginalized social identities is associated with unequal exposure to environmental hazards. One recent exemplar study analyzed racialized and “intercategorical” environmental inequality outcomes in cancer-causing air pollution exposures for Whites, Blacks, Latinxs, and Asian/Pacific Islanders (APIs) at the census tract level in the continental United States. That study found that—net of region, urban-industrial context, and other intercategorical variables—a variable representing elevated concentrations of economically deprived and foreign-born Latinxs, Latina single-mother families, and primarily Spanish-speaking households was the most consistent intercategorical predictor of tract exposure to spatial clusters of carcinogenic air pollution in 2005. The present study reproduces that nationwide analysis while being the first to include disadvantaged Indigenous peoples in the examination of intercategorical environmental inequality outcomes in the continental United States and for the ten U.S. Environmental Protection Agency (EPA) regions. Logistic regression analyses indicate that the spatial concentration of disadvantaged Indigenous peoples was not a significant nationwide predictor of tract exposure to the carcinogenic air pollution clusters. However, the regional analyses revealed eight new patterns of intercategorical environmental inequality outcomes across the U.S. EPA regions, and the spatial concentration of disadvantaged Indigenous peoples was a significant positive predictor of tract exposure to carcinogenic air pollution clusters in the Mid-Atlantic region. These findings have implications for future environmental justice research, policy, and activism. This study was partially funded by the Underrepresented Minority Recruitment Program in the Office of the Provost and Academic Affairs at the University of Oregon. I am grateful to Laura Pulido, Kari Norgaard, Toni Calasanti, Vincent Roscigno, and anonymous reviewers who provided valuable feedback on previous drafts of this article. The author is solely responsible for any remaining errors or omissions in the article. BAIC. (2018). About us webpage. Retrieved April 14, 2018 from http://www.baicmuseum.org/aboutus.htm. Dennis, B. (2017). EPA environmental justice leader resigns, amid White House plans to dismantle program. Washington Post, March 9. Retrieved August 6, 2017 from https://www.washingtonpost.com/news/energy-environment/wp/2017/03/09/epas-environmental-justice-leader-steps-down-amid-white-house-plans-to-dismantle-program. Eilperin, J., Mooney, C., & Mufson, S. (2017). New EPA documents reveal even deeper proposed cuts to staff and programs. Washington Post, March 31. Retrieved August 6, 2017 from https://www.washingtonpost.com/news/energy-environment/wp/2017/03/31/new-epa-documents-reveal-even-deeper-proposed-cuts-to-staff-and-programs. Fuller, S. (2018). Using American Community Survey estimates and margins of error. Webinar presentation from the Decennial Statistical Studies Division, U.S. Census Bureau, April 18, Washington, DC. Retrieved February 3, 2019 from https://www.census.gov/content/dam/Census/programs-surveys/acs/guidance/training-presentations/20180418_MOE_Webinar_Transcript.pdf. Sellers, C., Dillon, L., Ohayon, J. L., Shapiro, N., Sullivan, M., Amoss, C., Bocking, S., Brown, P., De la Rosa, V., Harrison, J., Johns, S., Kulik, K., Lave, R., Murphy, M., Piper, L., Richter, L., Wylie, S., & EDGI. (2017). The EPA under siege: Trump’s assault in history and testimony. The Environmental Data & Governance Initiative. Retrieved August 1, 2017 from http://100days.envirodatagov.org/epa-under-siege.html. U.S. EPA. (2011). National-scale air toxics assessments. Washington, DC: U.S. Environmental Protection Agency. Retrieved June 22, 2011 from http://www.epa.gov/nata/. USGS. (1999). Major roads of the United States. Reston, VA: U.S. Geological Survey. Retrieved February, 8 2012, from http://nationalatlas.gov/atlasftp.html.